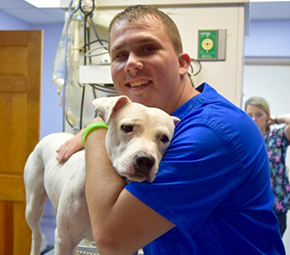 Have you ever been to a veterinary clinic where you felt like just another number? Where you were rushed in and out, your questions unanswered and your concerns unheard? Where your pet was handled with a less-than-caring touch? 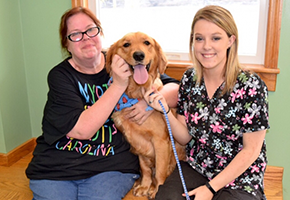 At Country Hills Veterinary Hospital, it’s our mission to make visits to the vet warm, positive experiences. That’s why we’ll go out of our way to make you feel comfortable and right at home. Whether it’s wrapping your pet in a cozy towel, offering tasty treats or getting down on their level, we’ll do whatever it takes. We never rush because we know that quality care takes time. We also recognize that our commitment doesn’t stop when office hours are over, which is why we make every effort to be available for after-hours questions or advice. It’s a difference you can feel from the moment you walk through our doors. Here, you are like family, plain and simple. Our gentle compassion is backed by a combined 48 years of experience. 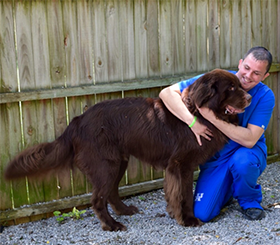 You can rest assured that your pet will always receive the most precise, effective medical care available. We’re proud to serve the Eastern Ky, Prestonsburg, Paintsville and Pikeville communities. We hope you’ll consider giving us a try. Call your Eastern Ky veterinarian today.